This year we are pleased to support three outstanding students! Congratulations to Joseph Choy, Ross Ledda, and Brianna Lucas, recipients of the 2015 HCCNC Scholarship! Joseph Choy, a University Laboratory School graduate from Honolulu, is currently a Junior at Santa Clara University studying Bioengineering. Joseph is very active in student life, volunteering as an on-campus Emergency Medical Technician (EMT) with the SCU EMS squad and working as a Facility Supervisor at Santa Clara University’s fitness center. 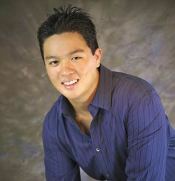 In his free time he enjoys hiking and exploring the surrounding areas of Santa Clara. Once he is finished with his undergraduate career, Joseph hopes to attend medical school and eventually find his way back to Hawai’i where he will dedicate the rest of his life to caring for the children of Hawai’i. Joseph is highly motivated in achieving his goals and will work tirelessly until he reaches them. Ross Ledda is a Kailua High School 2015 graduate who will be attending University of San Francisco. It took a lot of efforts to decide where he would go to college because of Hawai‘i’s beauty, but as with many other students, going off the island for a bit was a must. He can mostly be found spending time with friends at the beach and doing photography. With high hopes, he hopes that by after his college career, he will be back in Hawai‘i attending the University of Hawai‘i John A. Burns School of Medicine and eventually lead up to pursuing a career as a physician. To him, spreading the joy of happiness is an important goal that he chooses to live life by, may it be in his career or just simply through living. Brianna Noelani Lucas moved to the north shore of O‘ahu at the age of five. She attended Waialua High and Intermediate school and graduated in the class of 2015. 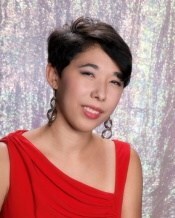 Brianna will be attending the University of San Francisco in the fall, and will be majoring in biology. She plans to pursue a career in the medical field and hopes to become a psychiatrist in the near future. Chosen to be both drum major and band president for the Waialua High School Band, Brianna has shown a passion for leadership. Her hobbies include practicing clarinet, drawing, sewing, writing and reading. She hopes to reconnect with her family in California and experience life outside of her small-town upbringing. She is sincerely grateful to HCCNC for giving her the opportunity to explore life outside the islands.